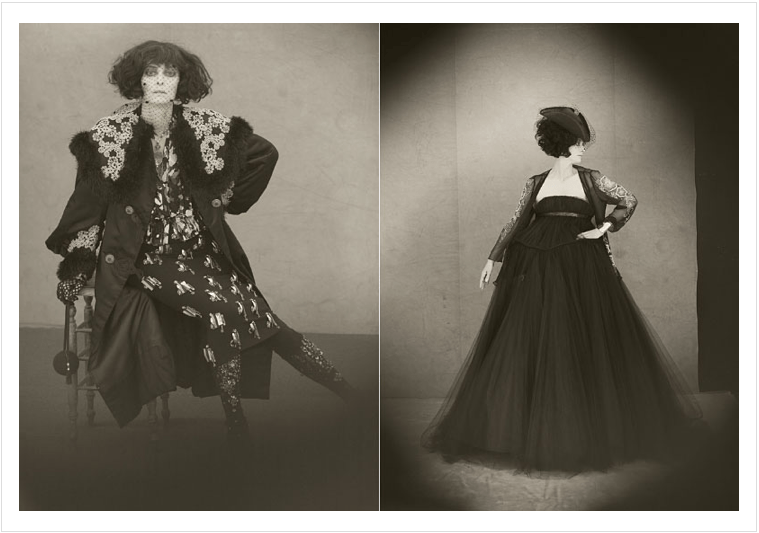 As I was researching Tilda Swinton the other day, I ran across this spread of her in ACNE Paper last year. 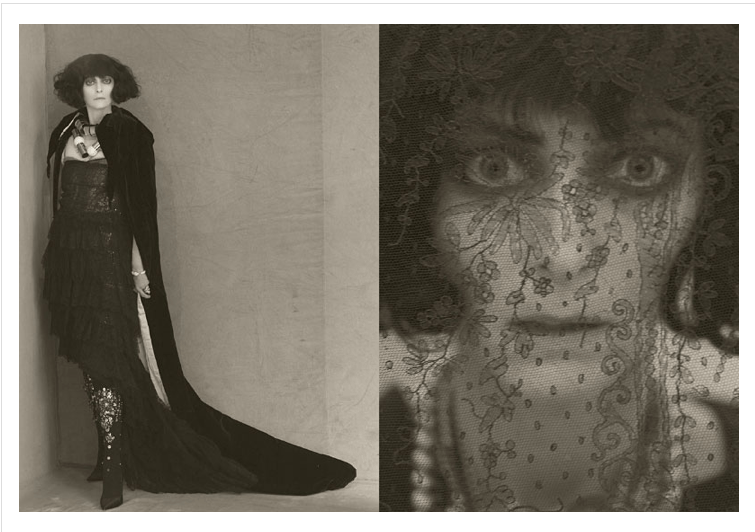 If you aren’t aware of ACNE Paper, you should be. It’s one of the best publications out there for advanced knowledge and art/photography in the industry. This is of course due to the fact that it is published in conjunction with the super cool (and one of my all-time favorite brands), ACNE out of Sweden. 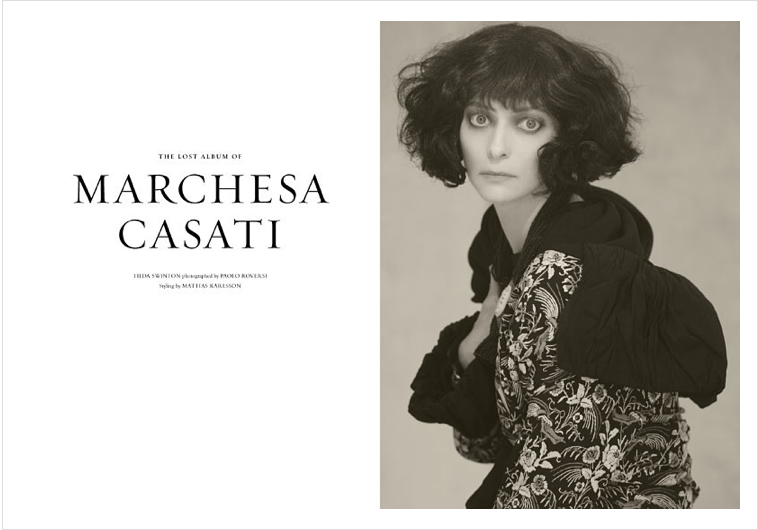 I’ve been collecting issues for awhile now and out of all the fashion publications out there, this one is without a doubt one of the best. 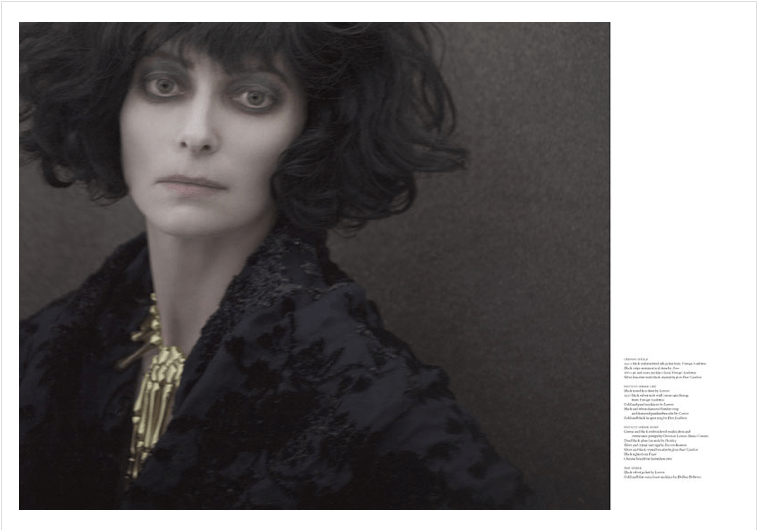 In this issue, Tilda is donning a brunette wig channeling the late fashion icon and legend, Marchesa Casati. 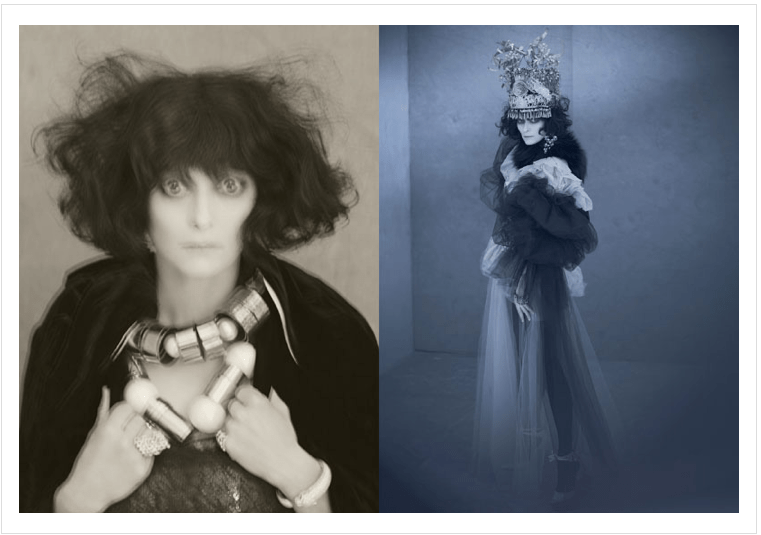 The beautiful imagery is by the infamous Paolo Roversi and styled by Mattias Karlsson. 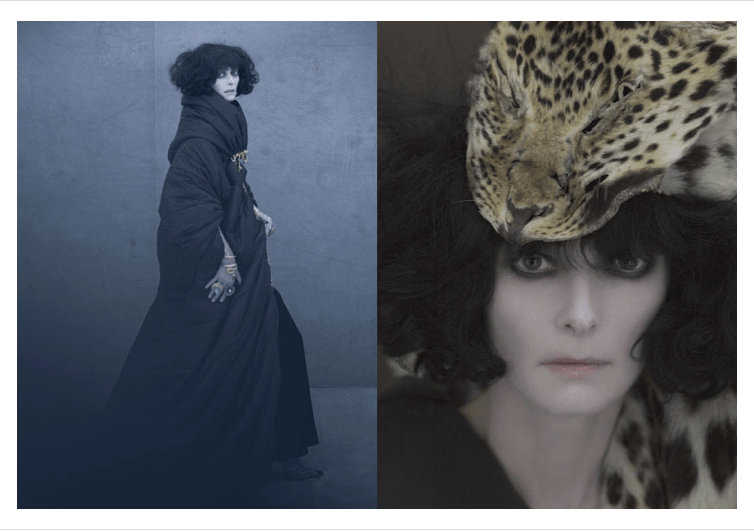 I love the styling, but especially love what Tilda is giving me in these photos. She is so versatile in her look and truly represents what an acting artist looks like. 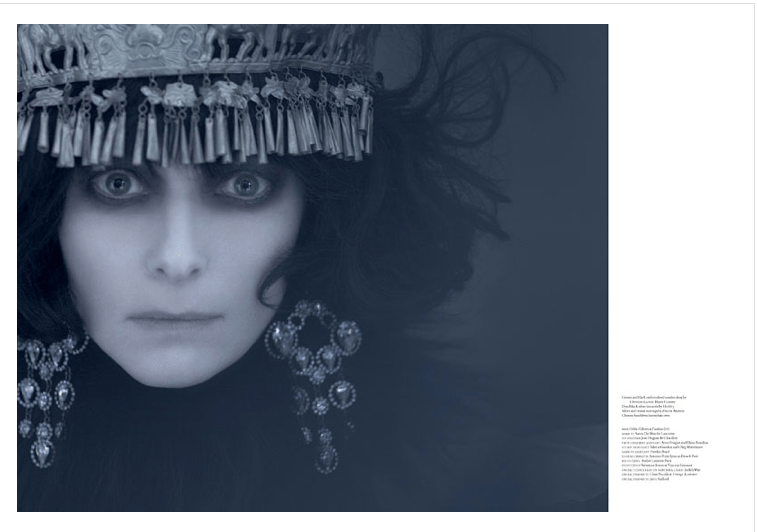 Take a look below and be sure and pick up Acne Paper Sweden the next time you see it.